Long-term survival trends for children (aged 0 to 14 years) diagnosed with cancer in England. Adult and stage of diagnosis survival estimates will be published in a separate release, later in 2018. Cancer survival in children (aged 0 to 14 years) continues to improve for all cancers combined; the general increasing trend of 5-year survival has continued, from 77.1% in 2001 to 84.0% predicted for those diagnosed in 2017; a similar increasing trend has also been observed for both 1-year and 10-year survival. The increases in 1-year, 5-year and 10-year survival have been observed in each of the age groups 0 to 4 years, 5 to 9 years and 10 to 14 years. Since there is a small difference between 5-year and 10-year survival estimates, children who survive for five years often live at least a further five years after diagnosis. Interpretation of these childhood cancer statistics should focus on the overall trends up to 2017, rather than the survival estimates for any particular year; this is because the number of children diagnosed in each year is relatively small and the survival estimates for a single calendar year are less stable. 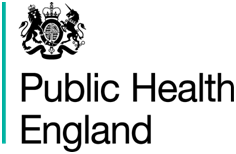 The cancer registration and survival data in this bulletin have been collected and calculated by the National Cancer Registration and Analysis Service (NCRAS) within Public Health England (PHE) and published in partnership with Office for National Statistics (ONS). 3. What has changed in this publication? In June 2017, we published a combined bulletin containing childhood cancer survival along with cancer survival (in England) for adults and by stage at diagnosis. It was our intention to publish a combined bulletin this year, however, during quality assurance of the analysis, the teams from Office for National Statistics (ONS) and Public Health England (PHE) have identified some anomalies affecting the adult survival estimates. As a precaution, we have reluctantly made the decision to only publish the childhood cancer survival results, which are unaffected by this issue. It is our intention to publish the adult and stage at diagnosis survival estimates in the autumn and we will provide a rescheduled publication date as soon as possible. We are sorry for any inconvenience caused by this decision. Data are presented on survival for all children diagnosed with cancer in England during the period 2001 to 2017. Survival estimates for 1990 to 2000 can be found in the previous combined bulletin. There may be small differences between the estimates for 2001 to 2016 published in this bulletin when compared with the previous bulletin. This is due to the impact of new, updated or late reported data on the survival analysis. This bulletin presents estimates of 1-year, 5-year and 10-year overall survival (%) for all childhood cancers combined, by five-year age groups and for all ages combined (0 to 14 years), both unstandardised and age-standardised. Overall survival is considered a reliable estimator of cancer survival in children because, unlike in adults, death within 10 years of diagnosis is almost always due to the cancer. The analyses were carried out using the cohort approach where one, five or 10 years of follow-up data were available. Period or hybrid approaches were used to provide short-term predictions of survival for children diagnosed more recently. A predictive survival method has been employed to provide estimates for survival as if patients were diagnosed in 2017. All children (aged 0 to 14 years) resident in England who were diagnosed between 2001 and 2017 with a primary malignant neoplasm of any organ, or a non-malignant neoplasm of the brain and central nervous system (CNS), as defined in the third edition of the International Classification of Childhood Cancer, were considered eligible for inclusion in the survival analyses. Cancers of the skin other than melanoma and secondary and unspecified malignant neoplasms were excluded. Children whose tumour was only reported on a death certificate were excluded, because their duration of survival is unknown, however, they only represent less than 0.1% of all childhood tumours in the period covered. Age-standardised estimates for childhood cancer are available to allow comparability between population groups and over time. The estimates are conventionally age-standardised by giving equal weight to all three age-groups (0 to 4 years, 5 to 9 years, and 10 to 14 years). Confidence intervals (at the 95% level) are included in the datasets. These form a confidence interval, which is a measure of the statistical precision and shows the range of uncertainty around the calculated estimate. These childhood cancer survival statistics are designated as Experimental Statistics. Experimental Statistics are published to involve customers and stakeholders in their development and as a means of building in quality at an early stage. The Office for Statistics Regulation are currently assessing badging the childhood cancer survival statistics as National Statistics against the criteria laid out in the Code of Practice for Statistics. Cancer survival in England for children (aged 0 to 14 years) has continued to improve since 1990. For children (aged 0 to 14 years) diagnosed with cancer, estimates of 1-year, 5-year and 10-year survival have continued to improve throughout the period 1990 to 2017. Survival estimates for 1990 to 2000 can be found in the previous combined bulletin, which also includes adult and stage at diagnosis cancer survival. This increasing trend is also reflected in each age group; 0 to 4 years, 5 to 9 years and 10 to 14 years. Childhood cancers accounted for just 0.5% of all new cancer diagnoses registered in 2016. The most common cancers in children were leukaemia and malignant neoplasms of the brain, which accounted for 50.8% of all childhood cancers in 2016. The increases in survival from cancer were likely due to improvements in treatment and supportive care. The increases in survival for many of the principal types of childhood cancer have occurred in parallel with clinical trials since the 1990s. Trends in population-based survival for a wide range of childhood cancers in Britain increased significantly during 1978 to 2005. All data referenced in this section are based on the unsmoothed survival estimates, unless otherwise stated. For children (aged 0 to 14 years) diagnosed with cancer in 2001, the 1-year age-standardised survival estimate was 89.5%, whilst 1-year survival is predicted to be 94.3% for children diagnosed in 2017. Between 2001 and 2017, the 5-year survival from cancer in children has increased by nearly 7 percentage points, from 77.1% in 2001 to 84.0% predicted for children diagnosed in 2017. Whilst 10-year survival is predicted to be 81.3% for children diagnosed in 2017 compared with 75.2% for children diagnosed 16 years earlier. In 2017, the 1-year cancer survival estimate is predicted to be 10 percentage points higher than the 5-year survival estimate. Smoothed survival estimates in Figure 1 show that the 5-year survival estimate has remained between 1.1 and 3.6 percentage points higher than the 10-year survival estimate from 2001 to 2007. Since 1-year survival estimates are less than 100% and the difference between 1-year and 5-year survival estimates is large, children are at an increased risk of death in the first five years after diagnosis. However, most children live for at least 10 years following a diagnosis of cancer. The small difference between 5-year and 10-year survival estimates means that children who survive for five years often live at least a further five years after diagnosis. Age-standardised survival estimates are presented for all children (aged 0 to 14 years). The survival estimates were smoothed by applying the “lowess” technique (locally weighted scatterplot smoothing) because of wide year-to-year variation (due to sparse data) in childhood survival. The smoothed data are used to highlight temporal trends in survival. 1-year survival estimates from 2001 to 2017 are based on the following methods: cohort from 2001 to 2016 and hybrid for 2017. 5-year survival estimates from 2001 to 2017 are based on the following methods: cohort from 2001 to 2012, period from 2013 to 2016 and hybrid for 2017. 10-year survival estimates from 2001 to 2017 are based on the following methods: cohort from 2001 to 2007, period from 2008 to 2016 and hybrid for 2017. Interpretation of these survival statistics should focus on the overall trends up to 2017, rather than the survival estimates in a particular year. Childhood cancer is relatively uncommon, so year-on-year fluctuations in the survival estimates arise because of the relatively small number of cancer diagnoses and deaths each year. Figure 1 (in Section 5) provides a smoothed trend over a 17-year period covering 2001 to 2017. The underlying year-on-year variations in 1-year, 5-year and 10-year survival have been smoothed by applying the “lowess” technique (locally weighted scatter plot smoothing) because of the year-to-year variation in the survival estimates. The “lowess” technique is one of many techniques used to smooth time series in which year-on-year fluctuation occurs, to highlight the underlying temporal trends. The smoothed curves are considered more likely to represent the underlying trend accurately. Unsmoothed estimates for 1-year, 5-year and 10-year survival can be found in the dataset. As an example, the unsmoothed data presented in Figure 2 show the wide fluctuations that were removed in Figure 1. Care should be taken when interpreting an apparent decline in survival between two successive years, because it is almost certainly due to population differences rather than a genuine decline in cancer survival. Responsible statisticians: John Broggio (Public Health England) and Andy King (Office for National Statistics). Office for National Statistics: Andy King; Jasveer Kaur; Leah Butler; Matthew Peet.